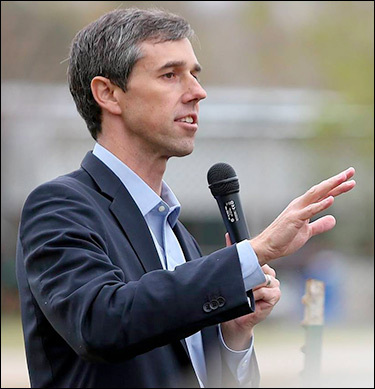 March 18, 2019 — Former Texas Congressman Beto O’Rourke, as expected, officially joined the Democratic presidential race with a formal announcement while traveling to Iowa to begin campaigning. O’Rourke’s entry now means that the Democratic field features 14 candidates, with more, including former Vice President Joe Biden, soon to join. O’Rourke comes into the field generally viewed as a top-tier candidate, though he has been dropping into mid-single digits in the latest national polls. He appears to be battling Massachusetts Sen. Elizabeth Warren for fourth position behind Biden, Sen. Bernie Sanders (I/D-VT), and Sen. Kamala Harris (D-CA). As we remember, O’Rourke was hyped as a major US Senate candidate with the opportunity of converting Republican Texas to the Democratic column with an upset win over first-term incumbent and 2016 presidential candidate Ted Cruz (R). Though he fell three points short of victory, losing to Cruz 51-48%, he did prove his prowess as a national fundraiser. O’Rourke attracted over $80 million from across the country for his Senate race. In the Texas campaign, then-Rep. O’Rourke moved left to appeal to the national Democratic donor constituency, which worked. 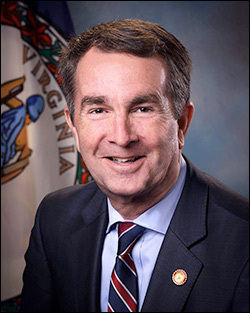 And, his voting record over three terms in the House supported the issue positions he was advocating during his statewide campaign. 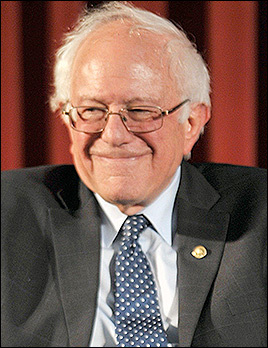 Feb. 22, 2019 — A day after announcing his entry into the 2020 presidential campaign, Vermont Sen. Bernie Sanders jumped off to a strong start, raising a reported $6 million in just his first 24 hours as a repeat candidate. But, a technical problem also looms in the distance. 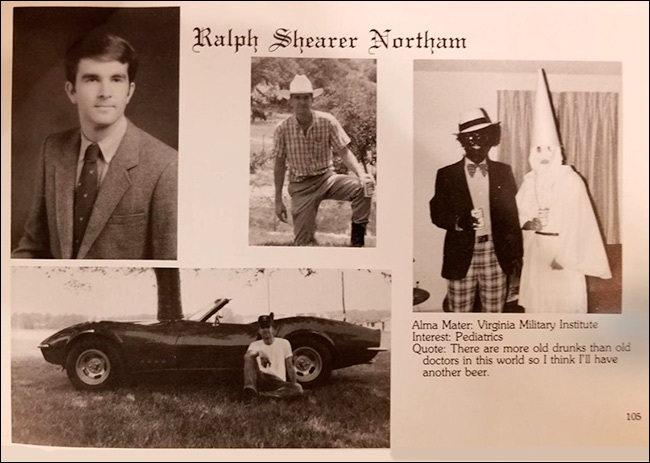 Last year, the Democratic National Committee adopted a new party rule that states any future presidential nominee must be an official Democratic Party member or, if an office holder, must have served as a Democrat. Sen. Sanders meets neither requirement. Vermont has no party registration, so he is not a party member in that regard, and has continually, including during the present time, represented Vermont as an Independent. In fact, when offered the Vermont Democratic senatorial nomination for his re-election campaign in 2018, Sanders turned down the overture. The fact that Sanders is still not a Democrat is confirmed when looking at the list of unpledged delegate slots, those commonly referred to as “Super Delegates.” An unpledged delegate is one who can vote as he or she pleases and is not subject to any binding vote law their particular state may have enacted. 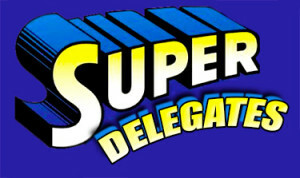 Those who qualify as Super Delegates are Democratic National Committee members (430), every elected Democratic US senator (45), the two District of Columbia “Shadow” senators, all elected Dems in the House of Representatives (235 at the present time), the four Democratic delegates to the US House (District of Columbia, Guam, the Northern Marianas Islands, and the US Virgin Islands), and all of the party’s elected governors (26, including the District of Columbia mayor, and the territorial governors from American Samoa and Puerto Rico). Aug. 30, 2018 — Just last weekend in Chicago, the Democratic National Committee, on a voice vote, changed the status of the so-called “Super Delegates” for the 2020 presidential nomination process. DNC chairman Tom Perez successfully convinced the executive committee to accept the changes earlier in the year. The full committee then ratified the chairman’s proposal on Saturday. Simply put, those in the Super Delegate category, which is comprised of elected officials and party leaders, will no longer be able to vote on the first ballot at the presidential nominating convention. Should the voting proceed to multiple ballots, the Super Delegates would again be able to participate. Controversy came to the national forefront in 2016 when the Super Delegates were perceived as being largely responsible for delivering Hillary Clinton the nomination even though Sen. Bernie Sanders (I/D-VT) had major support among the grassroots. Ironically, the Democrats could still find themselves in a situation where the Super Delegates make the difference. With as many as 20 or more candidates likely competing for the 2020 nomination, and no winner-take-all states, the total proportional system could well produce a first place finisher who falls short of majority support. If so, at least one more floor vote would be required, and the Super Delegates would return as a major force. June 11, 2018 — According to an article published late last week by Politico, Democratic National Committee chairman Tom Perez informed a group of US House members this week in a meeting that the party will be considering a move to change the status of what are now known as “Super Delegates” in preparation for the 2020 presidential election. The Democratic National Committee’s Rules and Bylaws panel met Friday to consider two proposals about making the group virtually powerless before the next presidential campaign begins. The Super Delegates became controversial in the 2016 presidential contest because of Hillary Clinton’s dominance within this delegate sector, which is comprised of elected officials and party leaders. Many believed the group unfairly tilted the playing field toward Clinton in the face of actual Democratic primary and caucus voters who preferred Vermont Senator Bernie Sanders. In the end, Clinton still won the pledged delegate count — those earned in primaries and caucuses — but her strength with Super Delegates clinched the nomination long before all the delegates voted on the first ballot at the Democratic National Convention. In short, each state is awarded a certain number of Super Delegates, officially labeled as “PLEO’s” (Party Leader/Elected Official). 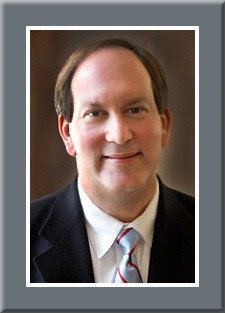 They are comprised of a defined number of the state’s elected officials, internally elected, and “distinguished” party leaders. Each state has different rules governing who is awarded Super Delegate status.